I am coming to you *LIVE* from my old iPad and new bluetooth keyboard. I usually blog from my phone, but I could get used to this. Save for all the typos I keep having to correct. Sorry, sausage fingers. Last night we went to Matt’s company Christmas dinner. I had it all planned out. I looked at the menu online ahead of time. I pretracked. I got there to find a preplanned menu without the meal I had planned. Oh well. I made a decision on a meal, enjoyed myself, and showed restraint on the bread at the table. I’m calling it a win. 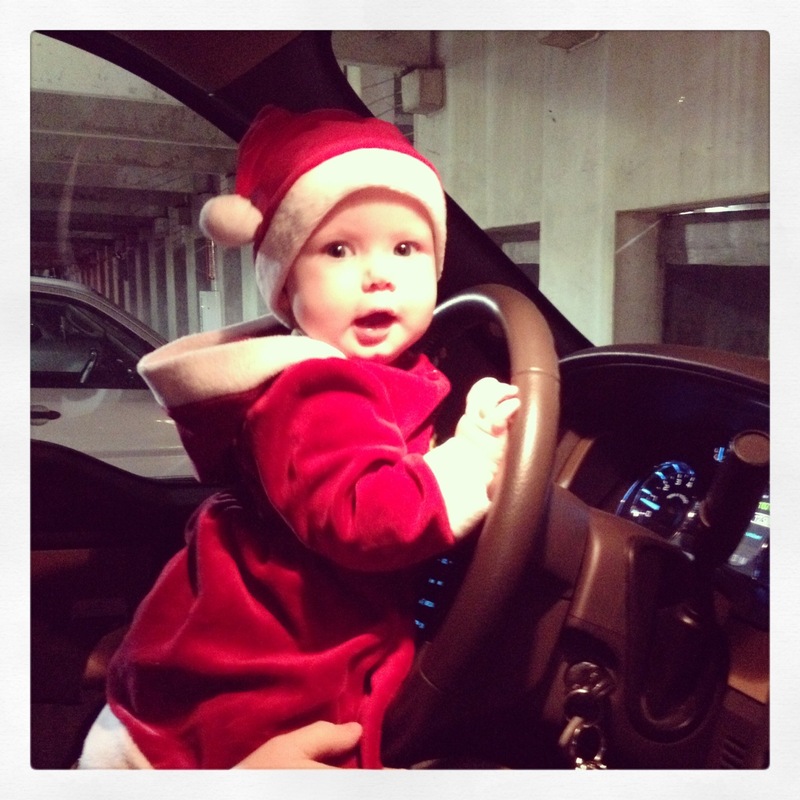 QuinnyClaus drove us there. Kidding, but she had fun playing in the car before we went in. Not so fast, Dimples. While I have entertained the idea of another baby, we need an extra bedroom and I need a healthier body this time around. Even though I was at a lower weight that I’m at now, I feel that I wouldn’t have had the problems I had when I was pregnant if my weight was lower. I want to be ready the next time around. So even more incentive to be healthy! We have really been enjoying our new stroller. 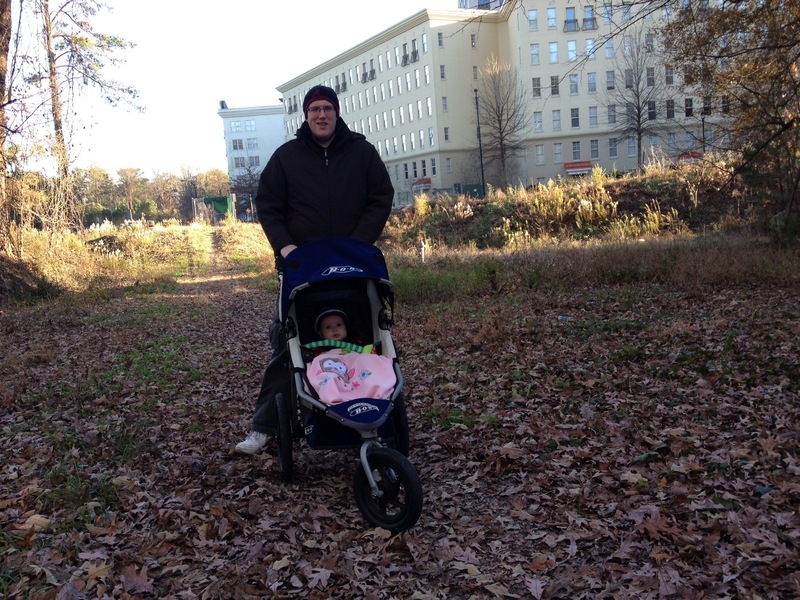 We took it on a walk through the woods today and it bounced over the bumps like a boss. I love it. I feel so much better eating healthy this week. The past few weeks have been full of chocolate and deprivation trying to make up for the chocolate. I feel very balanced and just good. Here’s hoping I can keep the momentum going and be a big ol’ loser through the holidays. 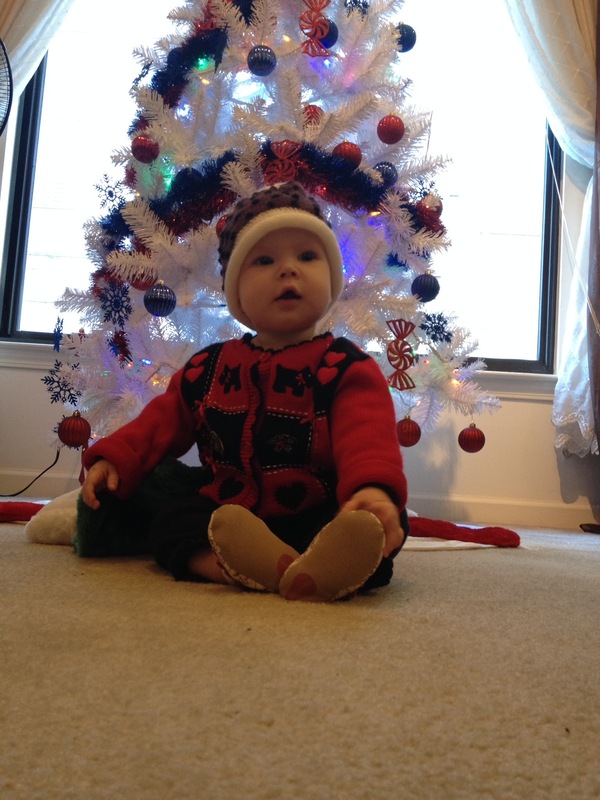 The only Christmas pudding I’m having is the one on Quinn’s head. This entry was posted in Uncategorized and tagged Atlanta, baby, christmas, family, georgia, health, motherhood, points plus, weight loss, weight watchers. Bookmark the permalink.